Written by The Snow Report on April 1, 2019 . Posted in Ski Resort Life. If you thought lift lines were long before… buckle up. 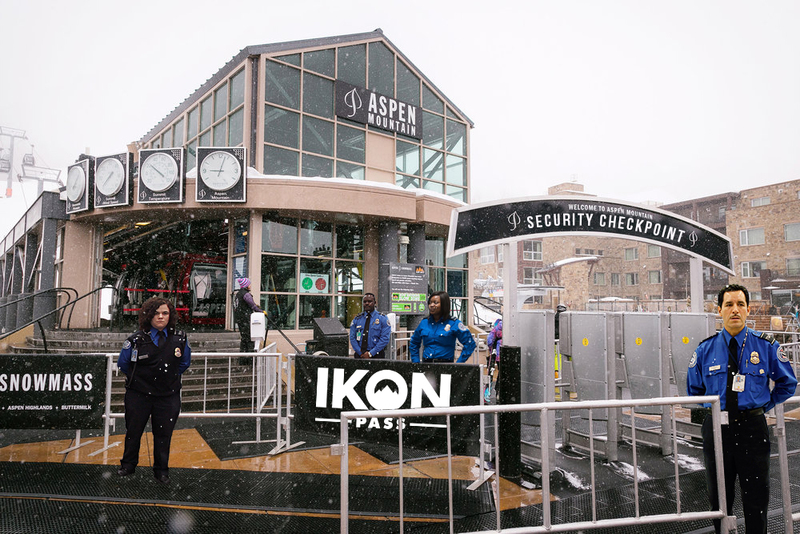 In response to the backlash of the Ikon Pass bringing an influx of new skiers and snowboarders, Aspen Snowmass is introducing a controversial new screening process that will require Ikon Passholders to (pun intended) pass through mandatory security checkpoints at all major chairlifts and gondolas. The Ikon Passholder security checkpoint will aim to detect and confiscate dangerous items such as weapons, cheap champagne and faux fur, which Ikon Passholders are known to brandish at any given time. “The Ikon Passholders are a dangerous and unruly bunch. Nothing but riffraff and bagged lunches,” says lifelong Aspen local, Rebecca Carlisle. 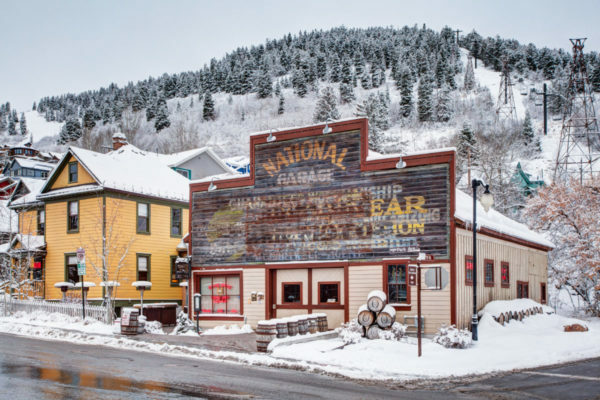 “To our Aspen locals out there – we hear you. We understand your concerns and want you to know that you’re simply more important than those other folks. When it comes to your entitlement, there are no blackout dates,” explained a leading Aspen Snowmass official, who asked to remain anonymous. In addition to existing RFID gates, several large, radiation-heavy X-ray scanners will be installed. Avalanche dogs will also have the option of receiving additional training which involves sniffing while walking back and forth. “We know this additional round of training will be a rigorous one for the pups, but we are counting on them. We believe they’re up to the challenge of… you know, being a dog,” explains Jerry Cramer, head of Ikon Pass security. Never miss a show. Sign up and have a guaranteed good time delivered right to your inbox. Have something funny or snowy to share?